Connect Your iPod, iPhone, iPad to the Reference 01 series. 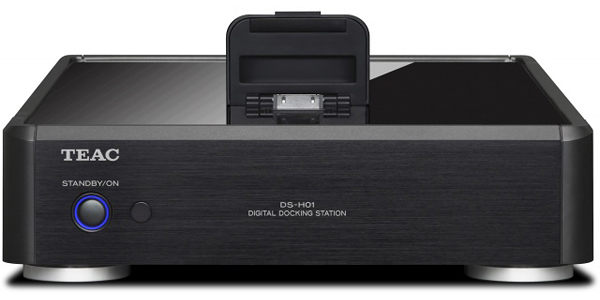 TEAC's DS-H01 is a digital docking station for playback of Apple's iPhone, iPad, iTouch or iPod through your audio system. 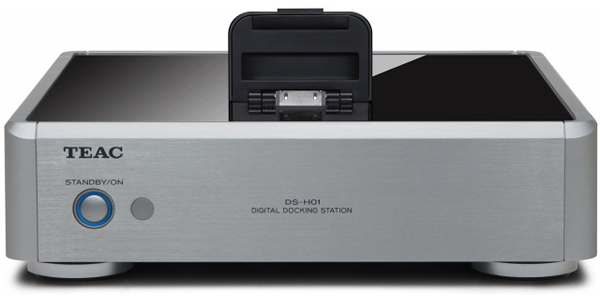 Unlike most iOS docks, the DS-H01 has a high-quality D/A converter built in – the Burr Brown PCM1796. This takes a digital signal directly from your iPod, bypassing the audio components of the portable device. The result is the best-possible audio playback quality from Apple's iOS products. Also available on the DS-H01 is a USB jack for connecting the iPhone, iPad or iPod to your computer and iTunes library. 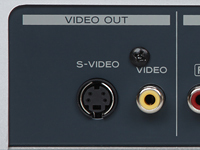 A video output can be connected to a standard monitor for playback of movies or television programs, and digital outputs are included for digital throughput of the iOS signal. The officially licensed dock connector provides power to your device for charging. For those who want the portability of an iPod with the high-fidelity of a TEAC audio component, the DS-H01 is a must-have for your listening system. In Japan, the DS-H01 have received some prizes of an audio equipment. The VGP(Visual Grand Prix) is a prize of equipments of audio and visual that is most famous prize in the market of the AV equipments. The DS-H01 received the silver award of the VGP. Lets listeners connect iPhone/iPad/iPod digitally via dock connector for use as digital audio sources. The fully digital connection for iPhone/iPad/iPod lets users direct audio signals to Reference 01 series components (or other audio systems) with Zero signal degradation the DS-H01 helps make your iPhone/iPad/iPod part of the high-quality audio system. 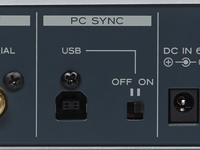 Connecting the DS-H01 to a PC audio system consisting of a PC connected to a UD-H01 or A-H01 lets users enjoy audio without turning on their PC, making audio system in the living room or bedroom even easier to use. 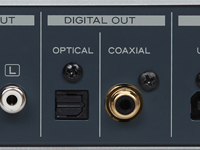 The DS-H01 achieves remarkable quality for a stand alone DAC, using the well-known BurrBrown PCM1796. 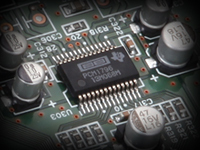 The analog RCA pin-jacks ensure compatibility with a wide range of audio devices. The DS-H01 comes with a dedicated remote control that lets users control an iOS device connected to the DS-H01 and to select an audio source without getting up from your sofa. 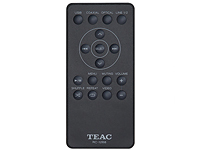 The remote control can also be used to control suffle and repeat functions and select tracks. Coaxial (RCA) and S-video output terminals let users output video from their iOS devices and enjoy video on a TV or other device. The PC SYNC USB switch on the rear panel lets the DS-H01 function as a PC dock allowing users synchronize their iOS devices without disconnecting the devices. The DS-H01 also recharges iOS devices while they are connected. This convenient feature lets users listen to music in their bedroom and recharge their device while thy sleep. *When the product is connected to a PC, power is provided from the PC via USB port.